Once associated with cucumber sandwiches and the Queen of England, tea has made its mark as one of the most popular beverages in modern society. According to a survey by TeaUSA, just under 80 percent of Americans had tea in their houses in 2014, and more than 3.6 billion gallons of tea were consumed that year in the United States alone. Millennials are more likely to be regular tea drinkers than any other demographic, proving that drinking tea is anything but passé. There are dozens of different herbal teas, and these are often combined in just about endless flavor combinations. Walking through the tea aisle at the grocery or health food store can seem overwhelming to the tea novice, but starting with one of these popular choices is usually a safe bet. Chamomile. This pale yellow tea has a light flavor and pairs well with honey and lemon. It is naturally caffeine free and was used by the Egyptians as a way to honor the gods, as a treatment for common illnesses, and as an embalming fluid. Peppermint. Peppermint is believed to have antibacterial and antiviral properties and helps soothe an upset stomach. Hibiscus. This herb pairs well with tropical flavors, making it a popular choice for fruit-based teas and provides drinkers the added benefit of a hefty dose of vitamin C.
Rooibos. Rooibos herbal tea was used as a substitute for black tea in America during World War II, but its full flavor and ability to blend with other spices and herbs solidified its place. Yerba mate. Traditionally prepared in South America, yerba mate has become popular in the United States for its naturally occurring caffeine and unique taste. What Is Herbal Tea Good For? While all herbal teas are high in antioxidants and improve overall health, the exact blend of herbs in a tea is what determines its specific uses. For example, peppermint and cinnamon teas have a strong and naturally sweet flavor that can help curb cravings and support weight loss efforts. Detox teas are also popular for this purpose, but it’s important to know exactly what is in the teas and follow the package instructions. Many of these have other substances, such as Senna, that can help alleviate constipation but can cause other problems when used too frequently. A common question among those new to drinking tea is “What herbal tea is good for sleep?” Soothing blends like chamomile and lemon balm have anti-inflammatory properties that can help calm your nerves, treat mild anxiety and prepare the body for sleep. Drink the tea warm for an even stronger calming effect, and give yourself an hour or so for the tea to take effect before turning in for the night. > What Herbal Teas are Good For Colds? Those pregnant, trying to get pregnant or breastfeeding. Most herbal teas are safe during pregnancy and breastfeeding, but you’ll want to stick to well-known prepackaged brands — organic if possible — and check with your health care provider before branching out beyond the common teas such as chamomile and peppermint herbal tea. Those with a family or personal history of allergies, particularly to plants or weeds. Any substance has the possibility of causing an allergic reaction, and you should always start slowly when introducing a new substance to your diet. Chamomile, for instance, should be avoided if there are any allergies to plants in the Aster family. Those with any other health concerns. 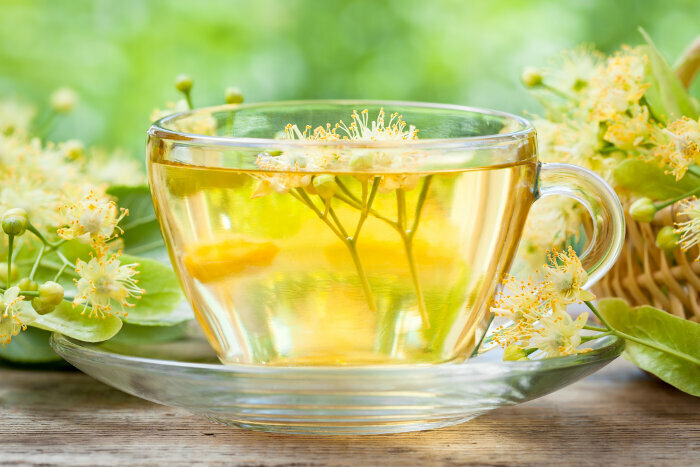 Some herbs can interact with medications or cause changes in things like blood sugar and blood pressure, so make sure to keep your health care providers and pharmacist up to date on any herbal supplements you are using, including teas. Traditional healers and shamans have used herbal medicine for centuries, and herbal tea has a rich and varied history, possibly starting with the Chinese as early as 2737 BC. From 202 BC to 220 AD, tea was a precious commodity and reserved for the rich and royal >> More About Chinese Herbal Tea. Tea began to be more common again from 618 AD onward, spreading to Japan around this time and eventually making its way to England in the 1600s. Once tea became popular in Europe, taxes were imposed, driving up prices and increasing demand for smugglers and black market sales. The East India Company eventually began exporting the tea to America, but the taxes were still an issue, contributing to the infamous Boston Tea Party. The 18th century saw science and medicine enter into the tea conversations, with the wealthy British elite worrying that drinking too much tea would lead to a weak workforce. The early 20th century brought about the invention of tea bags, which made brewing tea easier than ever. Today, tea is a popular beverage for both its variety of flavors and many health benefits.